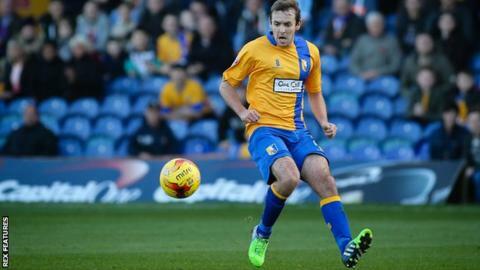 Mansfield Town manager Adam Murray says Notts County changed their minds about allowing left-back Blair Adams to extend his loan spell at the Stags. Adams has played 15 games during a three-month loan spell and Murray said he was "led to believe" the 24-year-old defender was staying at Field Mill. Murray said: "It came because of a mix-up in communication at their end." New Notts boss Jamie Fullarton is keen to take a look at all his players after taking over at the League Two side. Murray added: "We are obviously very disappointed as Blair was an outstanding performer, but we will move on swiftly."